In Episode 2, we introduce the demand generation model and walk you through developing an effective approach for your business. 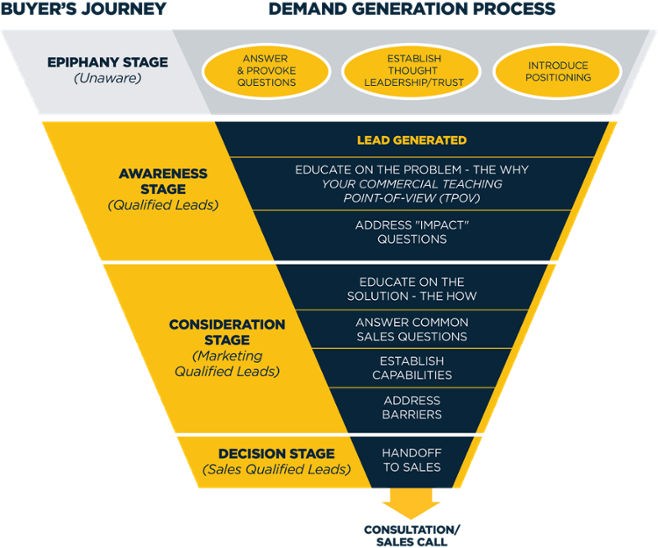 In the podcast, we shared a number of strategies and tactics to use as you build your demand generation process. Here are some blog posts if you'd like to dig deeper into some of the tactics. Your website is your first, and in may cases your most important, sales resource. Understanding how people engage and behave on your website is crucial to ensuring a successful demand generation strategy. A growing area of focus is visual optimization. The ability to see how people actually behave and interact on your website provides valuable insight into the design and message you utilize. Until now, small and mid-sized companies didn't really have the ability to do this without spending significant money. Enter Hotjar, a comprehensive analytics and feedback tool that enables you to see how people behave on your site. Utilizing visual heatmaps, it lets you record behaviors, test design and placement features and learn what your visitors truly value. Additional tools like polls and survey also come into play. Learn more about Hotjar here.